Ecoworld and Ballymore are thrilled to be working together on Wardian London, one of the most visionary projects London has seen in recent years. In the last thirty years Canary Wharf has been transformed, and remarkably so. Guided by one of the boldest redevelopment master plans the world has seen, it has now surpassed the City of London as Europe’s leading financial district. Wardian London will be part of this success story. 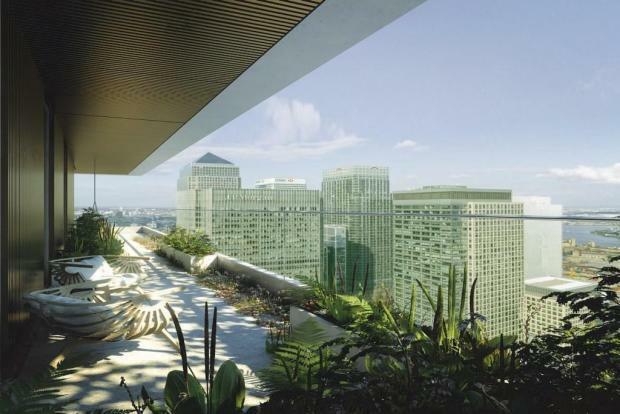 Combining modernist inspired architecture by Glenn Howells and innovative, unique landscaping, the two iconic apartment towers are designed to maximise the best possible use of space and light. Access to the private rooftop observatory and Sky Lounge with private dining facilities.